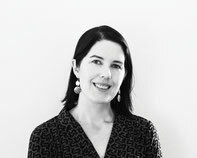 Dr Laura Hamilton is a psychiatrist with advanced training in both Child and Adolescent Psychiatry and Consultation Liaison Psychiatry. She has expertise in the treatment of chronic and persistent pain as well as functional and somatoform disorders. Dr McAulay is a Brisbane psychiatrist with advanced training in Adult Psychiatry. Dr McAulay accepts referrals for older adolescents, adults, and older persons. Dr Renee Denham is a child psychiatrist with experience in supporting children, adolescents, young adults and their parents. She is committed to connecting with young people and their families, and exploring the factors that may be impacting on their comfort and happiness. Dr Maria Andrzejewski is an Adult Psychiatrist experienced in the treatment of depression, bipolar affective disorder, perinatal mental health and psychosis. She has an interest in psychotherapy, older person's mental health, and gender-identity disorders. 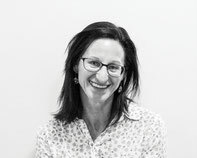 Carina has more than 16 years clinical experience as an Occupational Therapist and is qualified to provide specialist assessment and intervention for children, youth and adults with psychosocial, mental health, developmental and academic difficulties. Clinical Psychologist Dr H. Karen Li has training in many types of psychotherapy including CBT and ACT. She sees children, adolescents and adults and has appointments available now. Bianca Limpus is a registered Psychologist with training in several types of therapy including DBT, CBT and ACT. She sees older adolescents and adults and has appointments available now. Annemari provides treatment for children and adolescents. She has extensive experience in working with children with Autism Spectrum Disorders; she is a preferred Service Provider listed on the Helping Children with Autism (HCWA) Early Intervention panel. Kristie treats a range of problems including depression; anxiety; adjustment difficulties; posttraumatic stress disorder; grief and loss; chronic medical conditions; relationship difficulties; couples therapy and stress management. 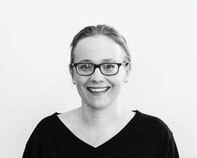 Kristie has particular interest in postnatal depression, infertility, traumatic childbirth and adjustment to parenthood.